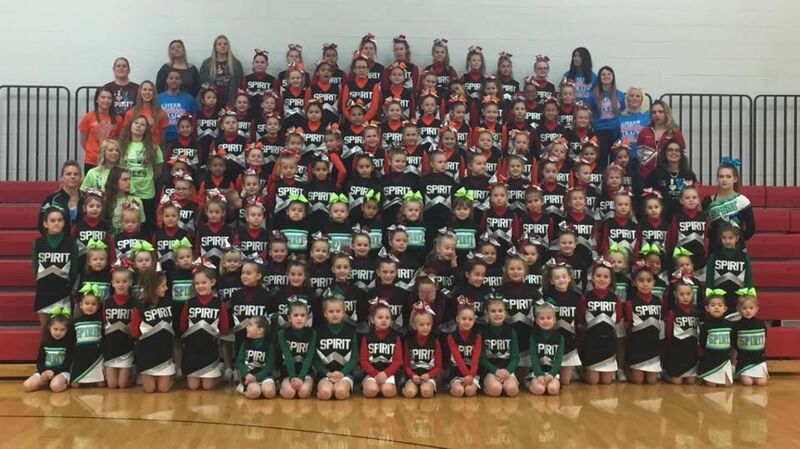 Spirit Cheerleading's Recreational Cheer program teaches the fundamentals of cheer and dance in a fun, energetic and safe atmosphere. If you are looking to be part of a team, make new friends and learn cheers, dance moves, and stunts, Spirit Cheerleading is the place for you! We currently have 4 teams/locations to chose from for youths Kindergarten through 8th grade and a pre-school program for children ages 3-6! Each location is broken into age groups. These teams practice 1 day a week for 55 minutes. These teams compete twice a year once in December and again in May. Competitions are required. These teams do basic stunting and tumbling, however we do not teach tumbling. Tumbling classes are available for an additional fee at our Yorkville facility. Trophies and ribbons will be given to all who participate! NO Tryouts and no cheer or dance experience required – Everyone is welcome! Teams practice in your own town or a town near you! Low cost and low commitment! Registration for the 2018-2019 School Year is NOW OPEN - Register by clicking the PARENT PORTAL on the menu bar! For more information about your location, click on the team link below.